The Beatles are coming! That's right kids...if anyone can eclipse Nagano and the classical Bel Canto orchestra it can only be by the greatest musical group in the universe, "The Beatles". On September 27th Theatre Knowlton is going to be turned into a rock and roll shrine as Day Tripper tribute band rolls in to Knowlton with a live performance of the best of The Beatles! Day Tripper are surely going to turn this town on it's Victorian ear just as the original Fab Four did with the entire world in the 60's! 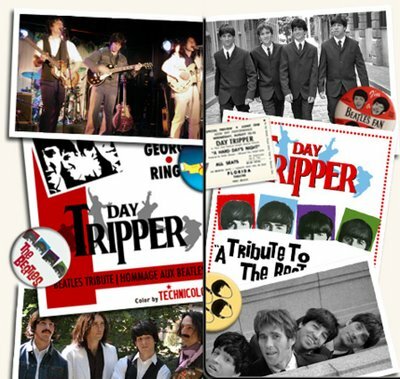 Relive the thrill and excitement of Beatlemania with "Day Tripper", Canada's most authentic Beatles Tribute Show. Their youth, passion and energy explode off the stage, bringing to life four lads from Liverpool the world fell in love with. Precise attention to detail, both visually and musically, takes audiences on a journey back to experience the Beatles like never before. From the early days on the Ed Sullivan show to the Abbey Road era, Day Tripper's mastery of both classic hits and lesser known gems blows audiences away. Their vast repertoire, authentic costumes and vintage instruments amaze even the most scrutinizing of Beatles fanatics. The show is a high energy musical performance of The Beatles throughout their different stages. The band," Day Tripper" covers a plethora of songs with costumes, instruments and personalities matching those of the Beatles. The show is at 8:00pm with doors at 7:30pm on Saturday September 27th. General seating, all ages. Tickets are $15 and can be found at Brome Lake Books, Knowlton Video or at the door the night of the show. Performance runs approx 2 hours with a 20 minute intermission. 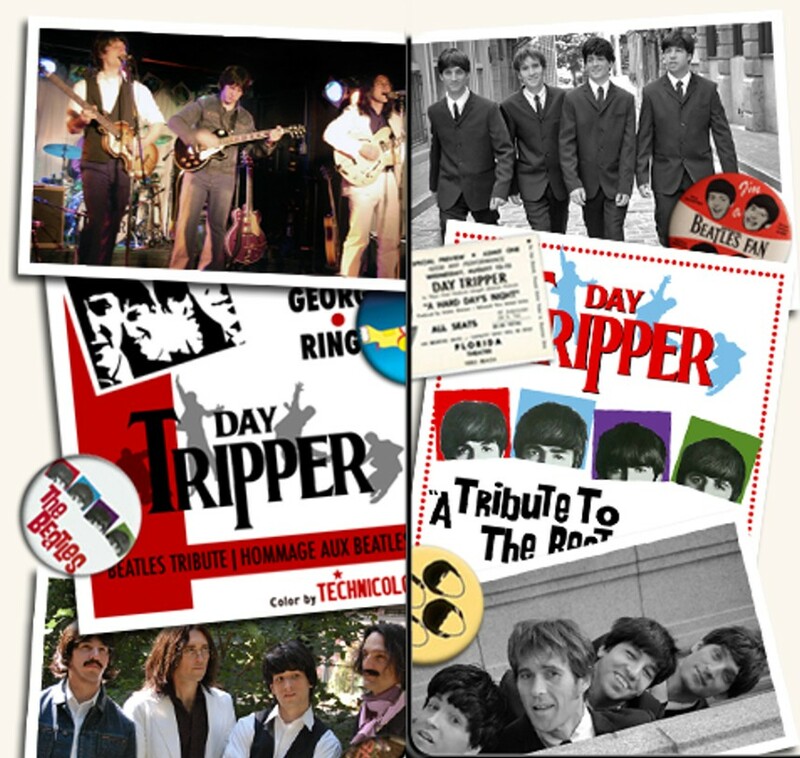 Visit the Official Site of these Fab Four gents at the Day Tripper Tribute Band website!! This is good chance for some of the older folk to introduce some of the classic rock and roll that shaped a musical generation and give everyone a chance to see The Beatles music played live...which only a few lucky ones ever had the chance to see! Even better...everyone should dress up in classic 60's garb and turn the while evening in to a hippie shaking extravaganza!